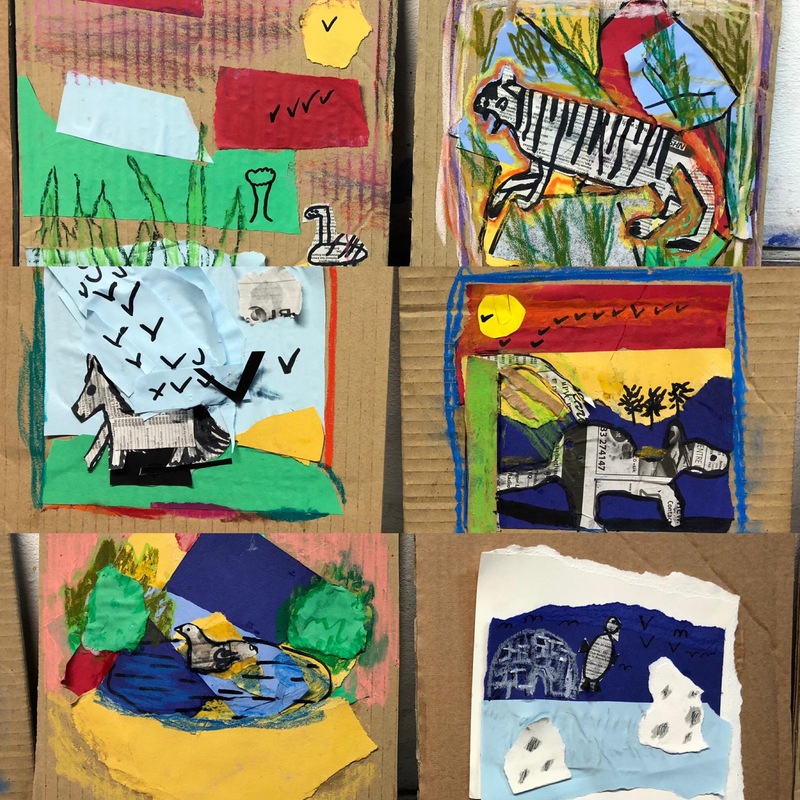 What fun we’re having this term in our home school art group, exploring the exciting world of the Animal Kingdom! 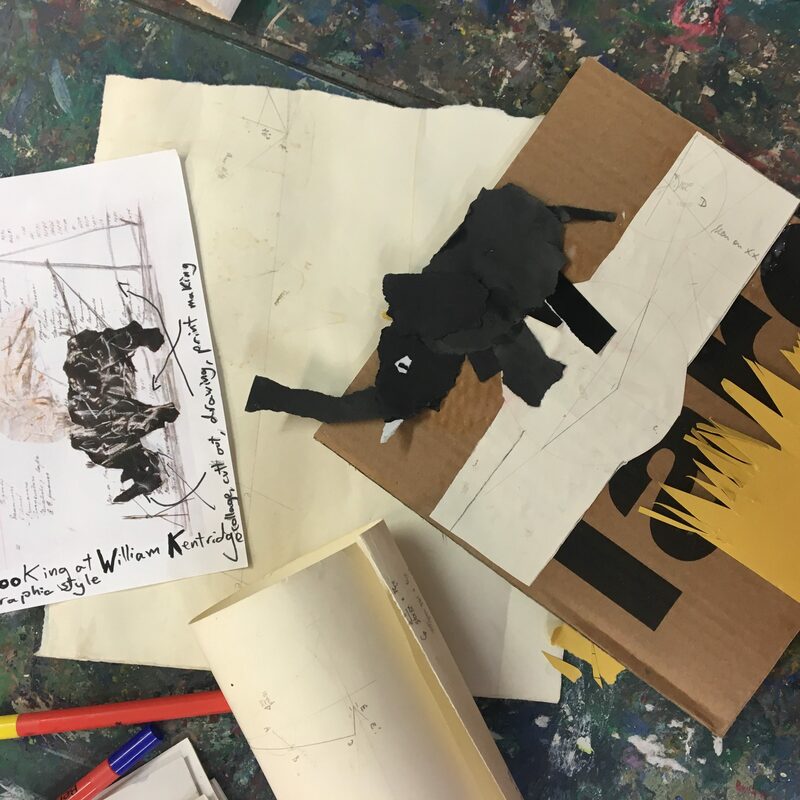 Group discussions have taken us on a fascinating journey from favourite animals to habitats, conservation, environmental impact and the use of animal prints and patterns and skins in the fashion industry; inspiring creative expression from the class with real depth and individuality. At Kite Studios we are passionate about encouraging artists of all ages to explore their own sense of self and place within the world through their creative work. By encouraging a natural journey through our theme and allowing students to take the lead, the work that results often speaks of both the idea and the artist. It’s a joy to see students growing in confidence throughout their time with us, both in their artistic skills and ability and in their thoughts and ways of seeing the world. So far this term we have created three dimensionally with clay and with paper mâché, created collages inspired by William Kendrick, and spent time refining our observational drawing skills in pencil, pen and oil pastels. This week we learnt about composition and the placing of shapes, line and patterns within a piece of art. 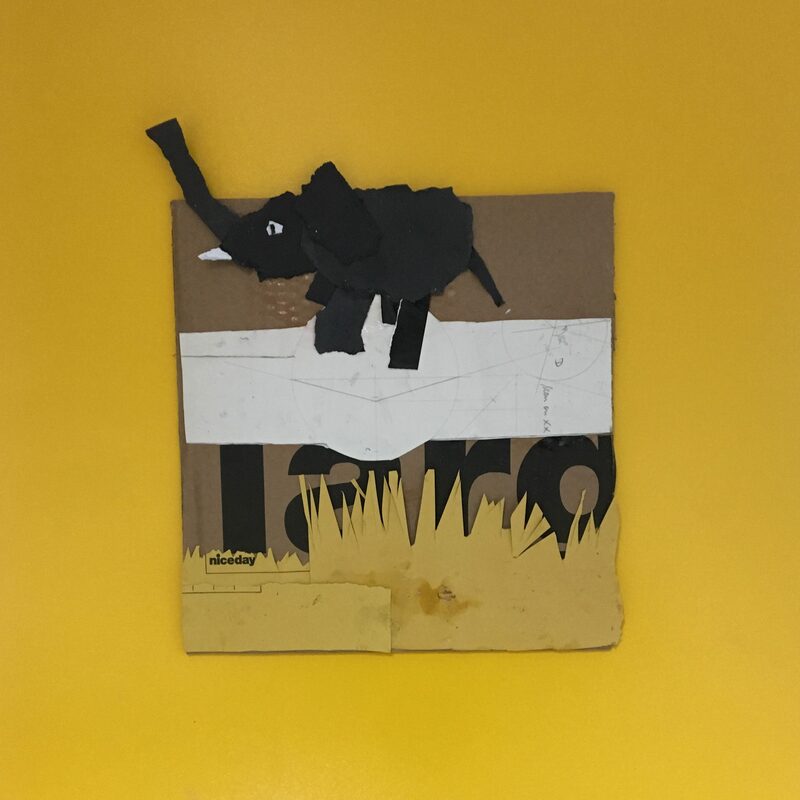 In response to the topic and in light of our conversations around the need to better care for our planet, our creative students created animal kingdom collages through tearing found and previously used papers to create texture and shape from items that were going to waste. We think they are wonderful!